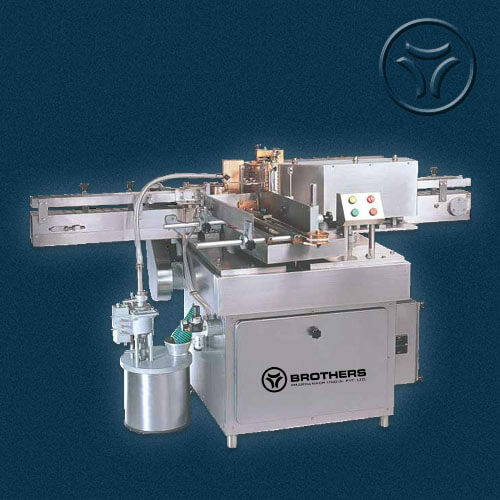 Brothers Pharmamach, the Pioneer manufacturers of Labelling Machines in India have introduced India's First, Versatile Semi Automatic Wet Glue Labelling Machine Model BS-40 in 1990. 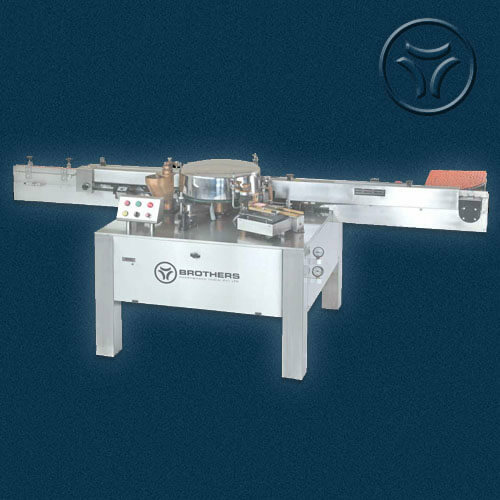 The Machine is developed for use of the customers requiring lower rate of production for their round bottles/containers, where Automatic Labelling Machine are not economical. 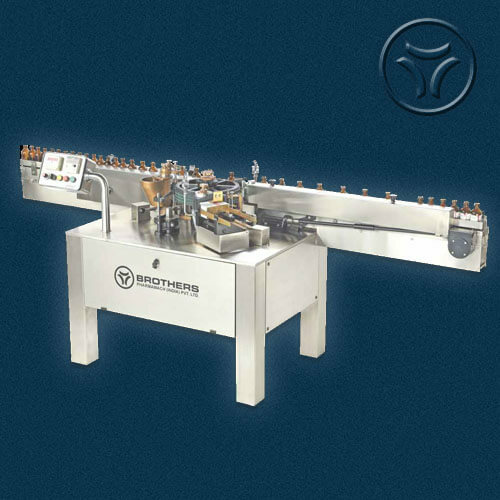 No Change Parts required for Label size and Bottle Size, the change over time for Bottle as well as for Label size is couple of minutes. 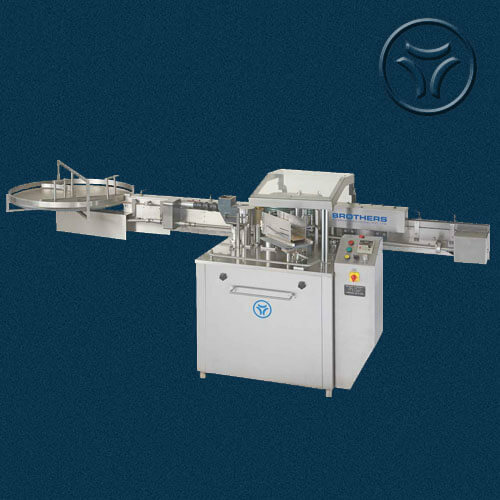 Flame Proof and Larger Models for the specific needs of the customers are also available. 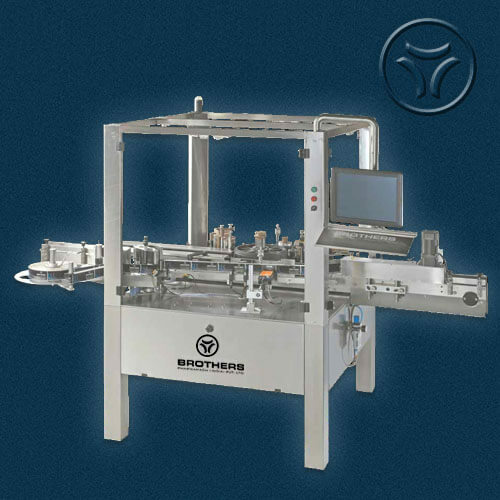 The Machine comes with Foot operated switch to release the Label for labelling and also comes with an optional Electronic Label Pick Up system for the ease of operation of Labelling. 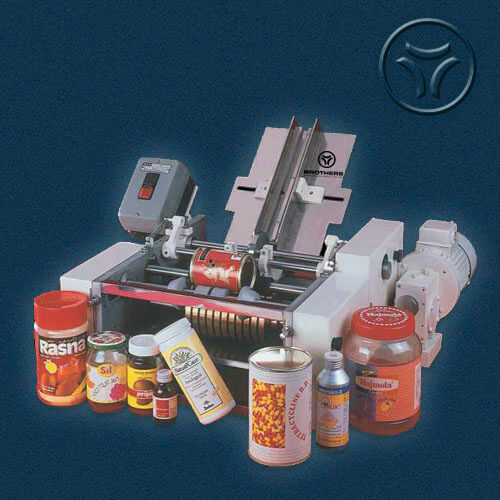 *Bigger Version can take Label Width 220mm and Length 525mm or you can order special machine as per your sizes.